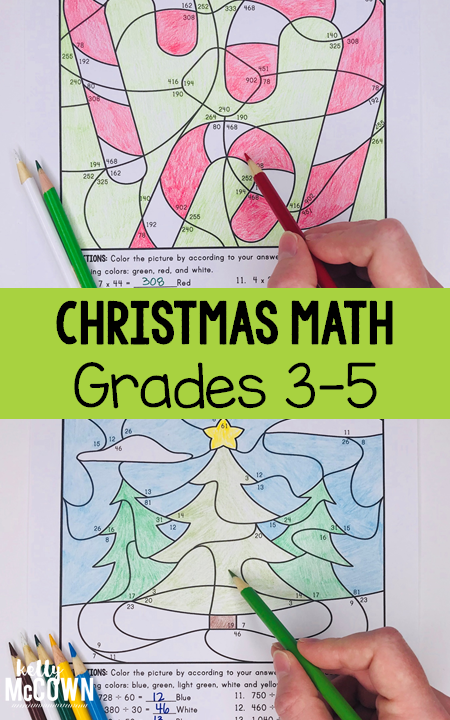 Do you want a fun Christmas Math review? Do you want a NO PREP holiday bulletin board display with student work? Are you ready for Thanksgiving? These Christmas Multiplication and Division Coloring Pages feature coloring problems to create Candy Canes and Christmas tree pictures. *Engage your students in Math for the Holidays! Have fun this holiday season with your students and engage them with extra practice of multiplication and division. Every student enjoys coloring and creating mystery pictures. With multiple options for students to create, the pictures will all be unique to each student.